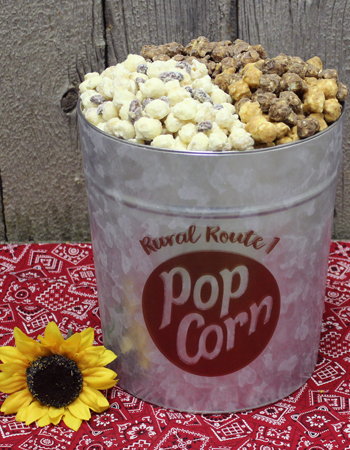 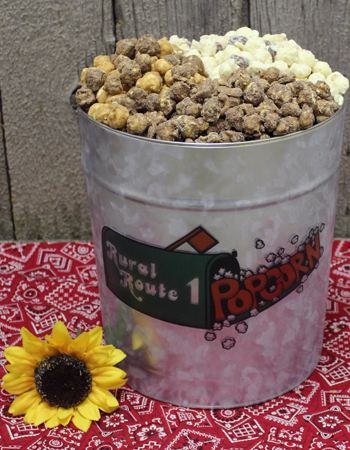 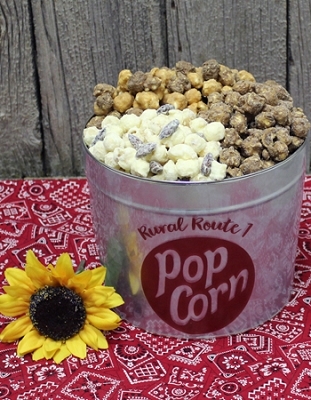 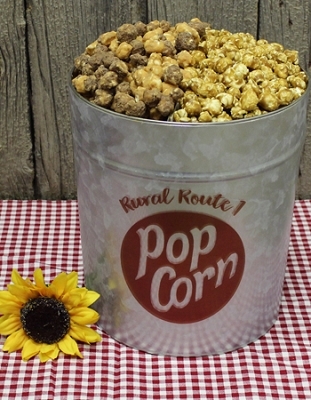 This 3 gallon Signature Rural Route 1 Tin features 3 of our FUDGE Popcorn recipes - Our NEW Peanut Butter Cup - A medley of Peanut butter and Milk Chocolate covered Popcorn. 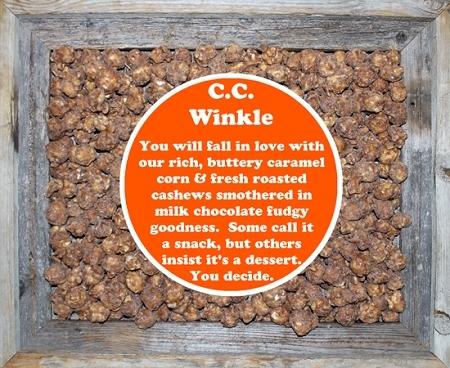 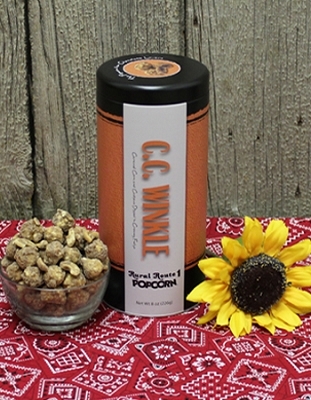 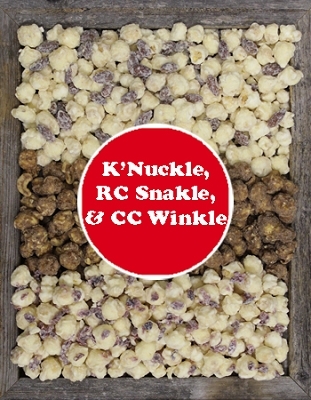 CC Winkle - Caramel Corn with Milk Chocolate Fudge and Cashews. 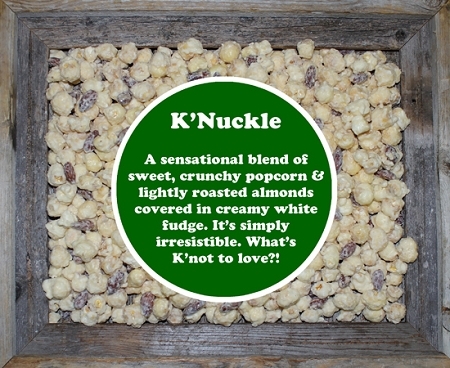 Our Original K'Nuckle - Popcorn with White Fudge and Almonds. 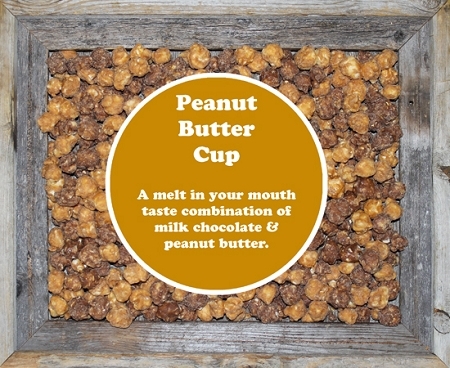 This tins contains approximately 61 cups of product. 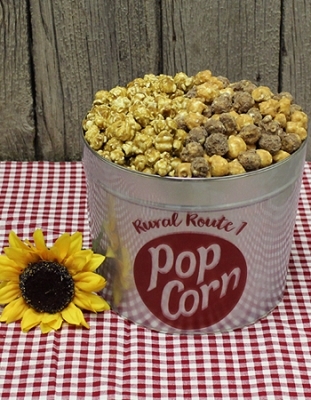 Sure to put SMILES on everyone's face!